By TruePublica: British defence companies made a record amount of money from selling weapons and military hardware to Israel, anti-arms campaigners’ data shows. These new figures are published just ahead of a planned royal trip by Prince William to the country in June. According to Campaign Against Arms Trade (CAAT), defence contractors made profits of at least £221 million ($294 million) last year from deals with Tel Aviv. That is a significant increase compared to £86 million ($114 million) in 2016. Export licenses to Israel issued by the UK government and tracked down by CAAT cover a wide range of military equipment, ranging from missile components and explosives to body armour and weapon sights, much of which, would have been used in the recent massacre in Gaza. 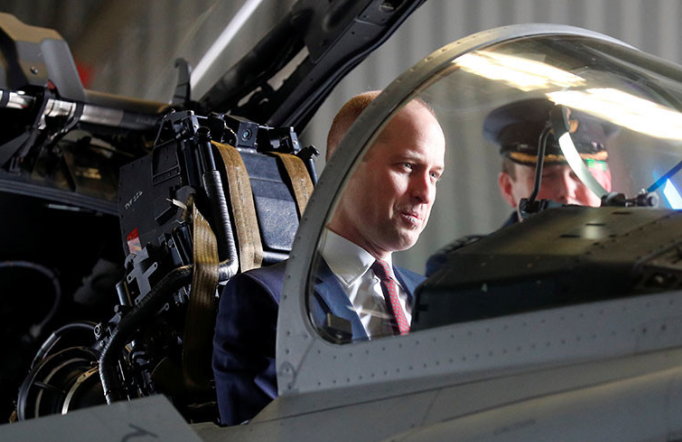 The royal visit by Prince William demonstrates a high degree of disregard and insensitivity towards increasing antagonism at Israel’s blatant killing and injuring of thousands of Palestinians who were no danger at all to the Israeli authorities. Prince William has cancelled his planned trip to Russia for the world cup on the basis of the Skripal Salisbury poisoning and will not be supporting the England team to win. Reaction from the United Nations ended with a vote to send an international war crimes probe to Gaza after the body’s leading human rights official slammed Israel’s reaction to protests along the border as “wholly disproportionate”. Prince William will arrive on June 25 and is scheduled to travel to Israel’s capital Tel Aviv where his tour will be the first-ever official trip of a British royal to Israel. The visit will take place during mass protests in Palestine, which have been continuing for several months and have resulted in what we have been witnessing recently, namely dozens of deaths and thousands of casualties. According to Human Rights Watch, the Israeli army killed over 100 people in Gaza and injured over 3,500 since the protests against Israeli occupation began there on March 30. The visit, now controversial, is likely to inflame the situation further and could end with even more violence directed at the Palestinian people.